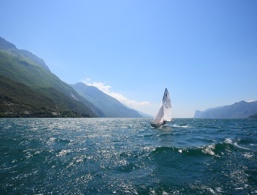 Sailing on Lake Garda. Discover Lake Garda! 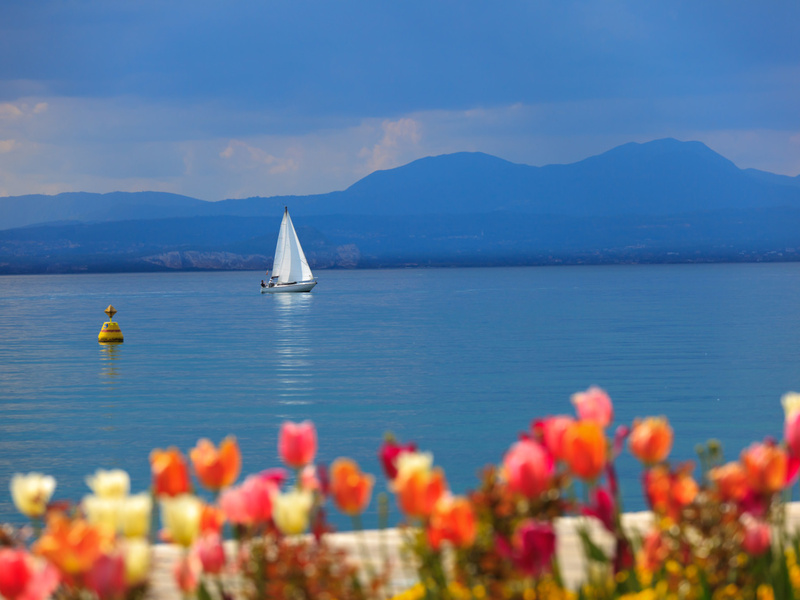 Lake Garda is very popular with sailors and surfers because of the optimal weather. 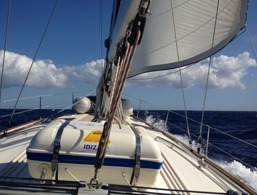 The Mediterranean climate and the constant thermal winds offer ideal sailing conditions. In the morning, a robust north-facing wind blows from the Alps towards Lake Garda and, with sunrise, the south wind blows to the north. In short, a holiday paradise for all water sports fanatics. 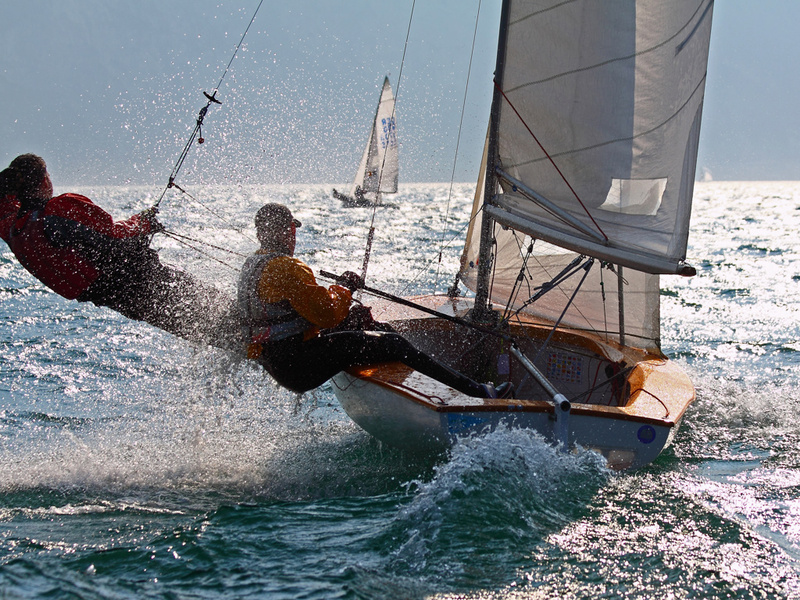 All places around Lake Garda have their own sailing clubs offering training and courses for beginners and advanced. Every year more than 90 local, national and international regattas of varied classes are held on the lake. 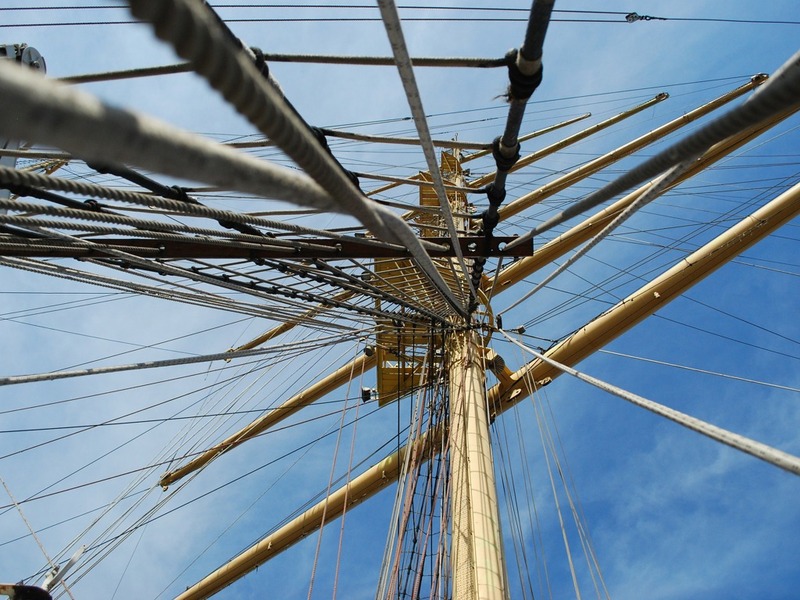 The most famous is the Centomiglia in Bogliaco, an international sailing regatta of the highest rank. More than a thousand participants and several thousand spectators from all over the world don't like to miss this unique event. Every year in September monohulls and yacht class Maxiliberia which are impressive sailing yachts with a maximum hull length of 12.70 m, a width of up to 8.50 m and a crew of 15 people, monotype yachts and cabin boats, all set sail on the lake and race for victory. The lake offers excellent sailing schools. In addition, here the waves are never too high, it especially suitable for beginners but also for experts. 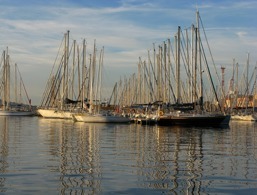 No matter if they are moored to the dock or in the middle of the lake - the sail boats are a symbol of the Lake Garda. 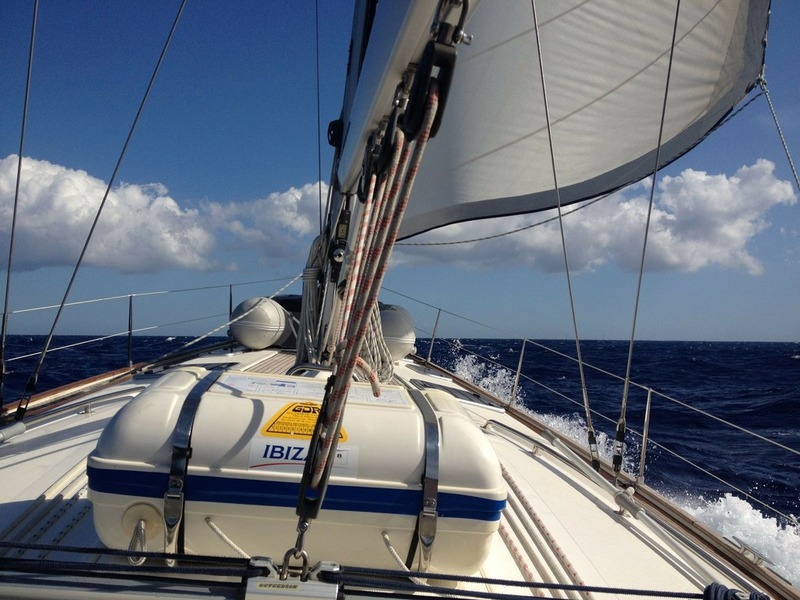 The regatta passage takes the participating boats from Bogliaco heading north, depending on the boat class either to Torbole or Navene, then on to Bogliaco, to Desenzano at the south of the lake and back to Bogliaco. 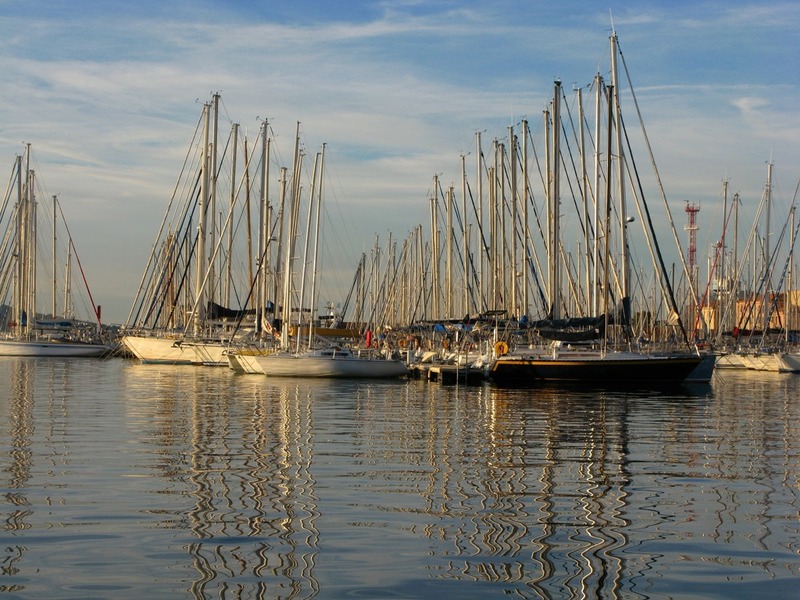 In addition to the traditional legendary regatta Centomiglia, the Multicento, a race for multi-hull boats, and the CentoPeople, a competition for sailing and cruise liner yachts, are all held here. As well as the Cento Windsurf and the Cento Kite. 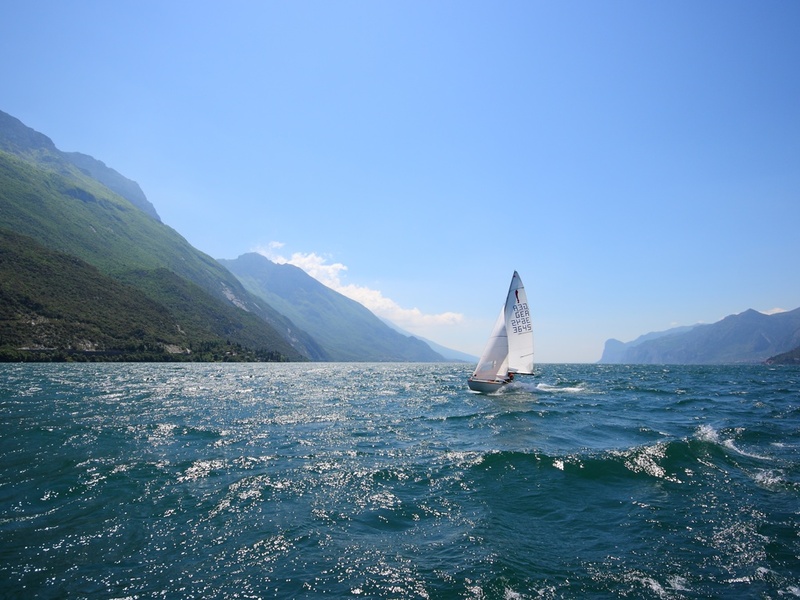 The sailing school is located in Riva del Garda and also offers rental of sailboat boats, dinghies and catamarans.